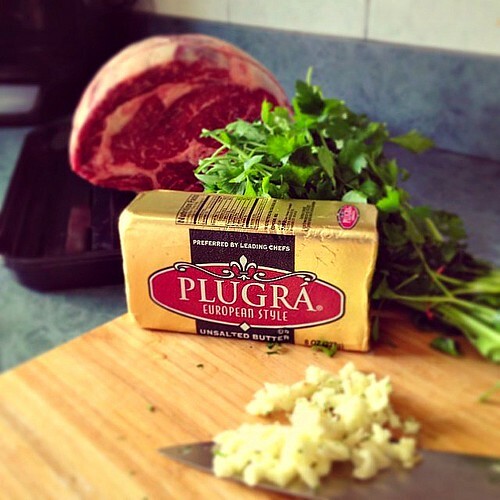 In a mixer bowl fitted with a paddle attachment, combine Plugrá Butter, roasted garlic and parsley and mix until blended. Taste and adjust seasonings with salt. Toast the coriander seeds, allspice and cloves over low heat in a sauté pan until fragrant and toasted; cool. Grind toasted spices in a spice grinder. Combine with brown sugar, black pepper and salt and stir to blend. Rub roast evenly with Moroccan spice rub.Drizzle the Moroccan rubbed roast with the olive oil and place on a v-rack set in a roasting pan. After 20 minutes, decrease the heat to 375 and continue cooking the roast uncovered for 1 hour and 15 minutes (if you have a 5 lb roast). Bake about 15-18 minutes per pound. 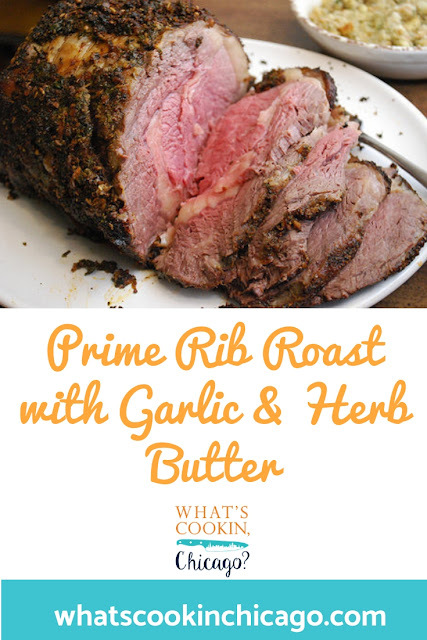 Remove roast from oven and allow it to rest at room temperature for 20-30 minutes before carving. Slice and serve garlic & herb butter.